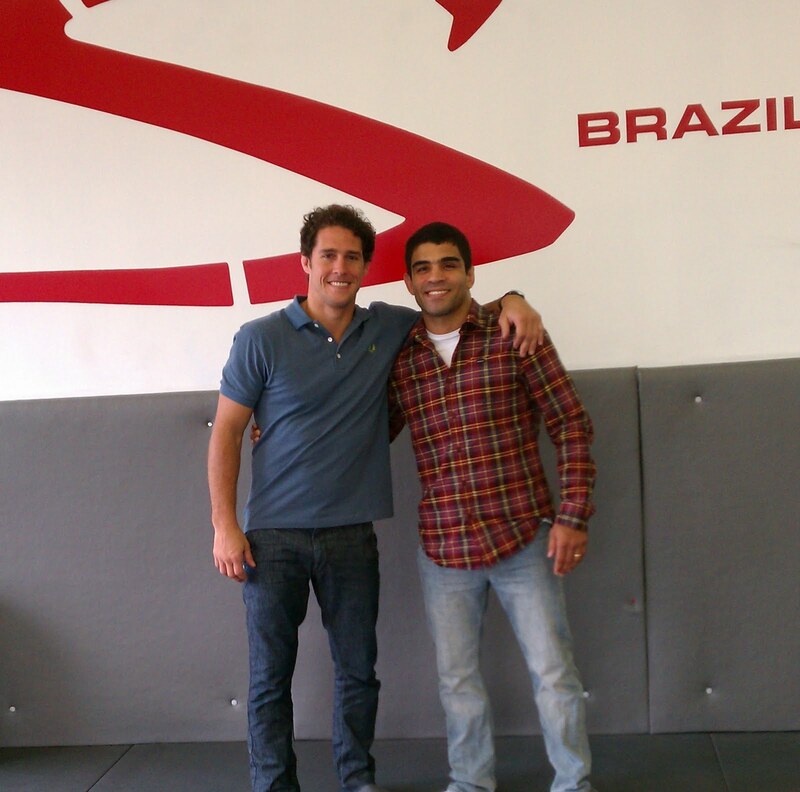 The GRACIEMAG at the Worlds Blog gathered three characters form the history of the Jiu-Jitsu World Championship. The trio of protagonists has between them no less than nine world titles at black belt. These wizards of the lighter weight classes are thus giants when it comes to their time in the history of the gentle art. When queried about it, none of them hesitated to describe the greatest moment each of them experienced in the Worlds. In exclusive testimony on the Blog, they recall the great excitement and reveal unprecedented details. Our heroes are Vitor “Shaolin” Ribeiro, Mário Reis and Robson Moura. Let’s get to each of their stories. by Dan Rod — May 16, 2011. With a total of 177 competitors from 31 different schools, some coming from as far away as Italy and Ohio, the inaugural Big Apple BJJ Open took place this weekend. 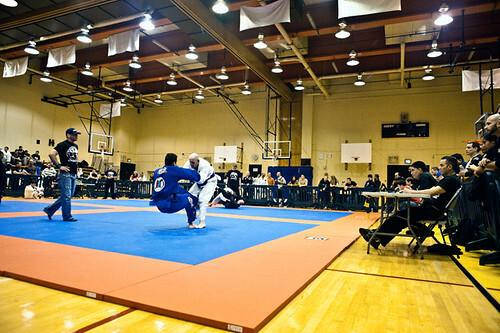 The competitors took to gi-clad combat on four mats set up at the gymnasium at Martin Luther King High School, right in the middle of Manhattan. 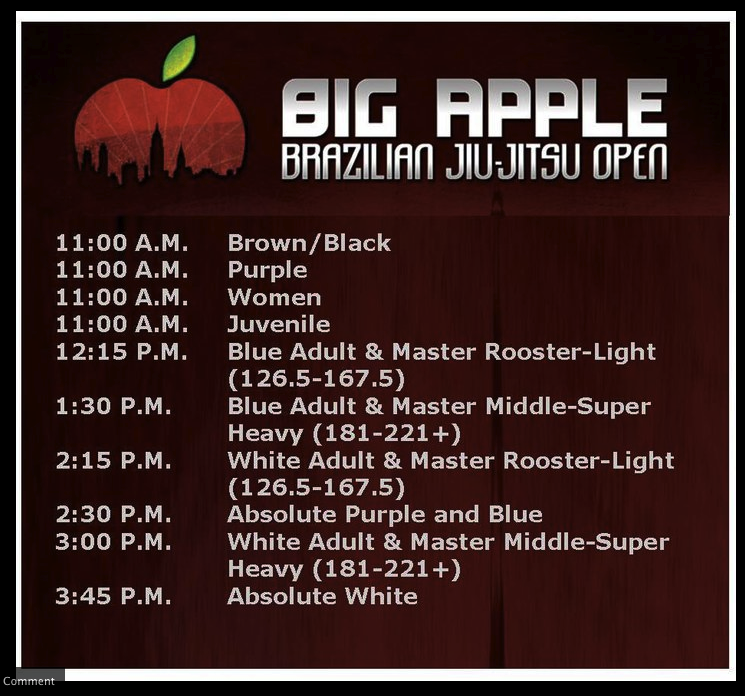 The black belts took to the mats first. Guybson Sá took the gold with an impressive victory in a final that lasted less than half a minute, dropping down from open guard for a quick ankle lock. 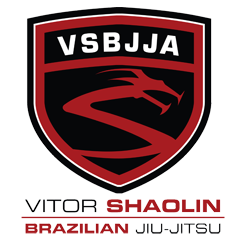 An idea that has been a year ago four months in the making, this was the very first tournament promoted by Vitor Shaolin, Jen Sung and Mario Guerrero. The date was carefully planned so as to not interfere but to help other competitors competing at other tournaments around the globe. 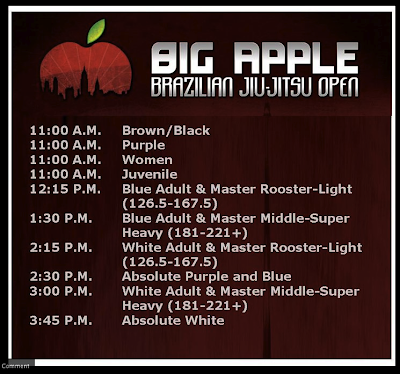 “We wanted to just have a good Jiu-Jitsu tournament in New York. No names associated. We just wanted to host it,” explains Sung. 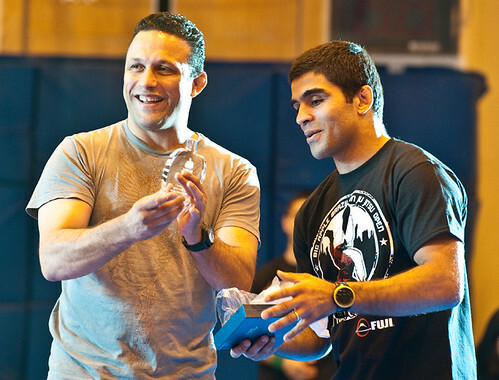 Renzo Gracie was also present and was honored with a plaque delivered to him by Shaolin. “I came here and didn’t know anybody. Renzo said, ‘If you need anything, give me a call’, and I called him a number of times,” Shaolin went on to thank Renzo for all the help given to Jiu-Jitsu in New York as a whole. Thanks to everyone for taking part in the Big Apple Open. Hopefully we can do more events in NYC very soon. We should have some video up this week. In this video we can review some of the techniques from this past weeks class. Technique 1: "sit through" from standing position to "single leg". Technique 2: "deep half guard escape" to "single leg attempt", to "sit through", and back up to your feet. Technique 3: "stand up from four point position with control of the outside leg", and "double leg takedown with outside leg trip"
Bellator Fighting Championships on Tuesday announced the signing of Brazilian bantamweight Marcos Galvao to a long-term deal. 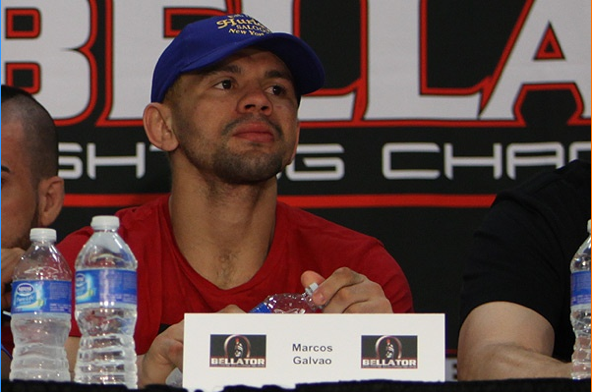 Though specifics of the contract were not revealed, the promotion stated that Galvao will take part in Bellator’s upcoming fifth-season bantamweight tournament. 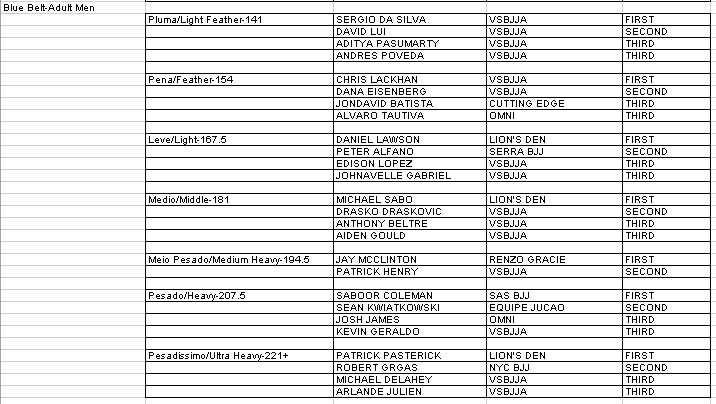 The Nova União fighter joins reigning Bellator featherweight king Joe Warren and countryman Luis Alberto Nogueira in the tournament field. Galvao burst onto the Bellator scene in April when he went the distance with Warren in a 137-pound catchweight affair at Bellator 41. Though Warren walked away with a razor-thin unanimous decision that night, Galvao is hoping for a rematch within the confines of the tournament. An eight-year pro, the Brazilian jiu-jitsu black belt is a two-time veteran of the WEC, suffering knockout losses to both Brian Bowles and Damacio Page during his stint in the little blue cage. Prior to his contentious defeat at the hands of Warren, Galvao had won three straight, culminating with “Louro” winning the Ring of Combat featherweight title in December. 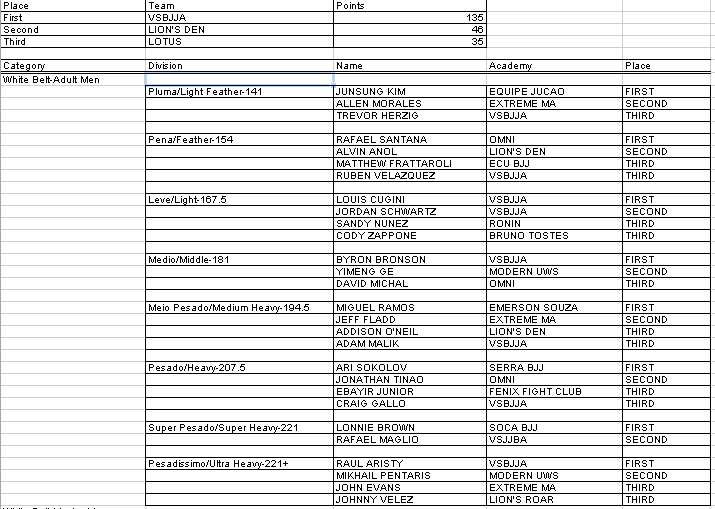 As with all of Bellator’s tournaments, the winner of the Season 5 bantamweight draw will receive $100,000 in total pay and a shot at divisional king Zach Makovsky. 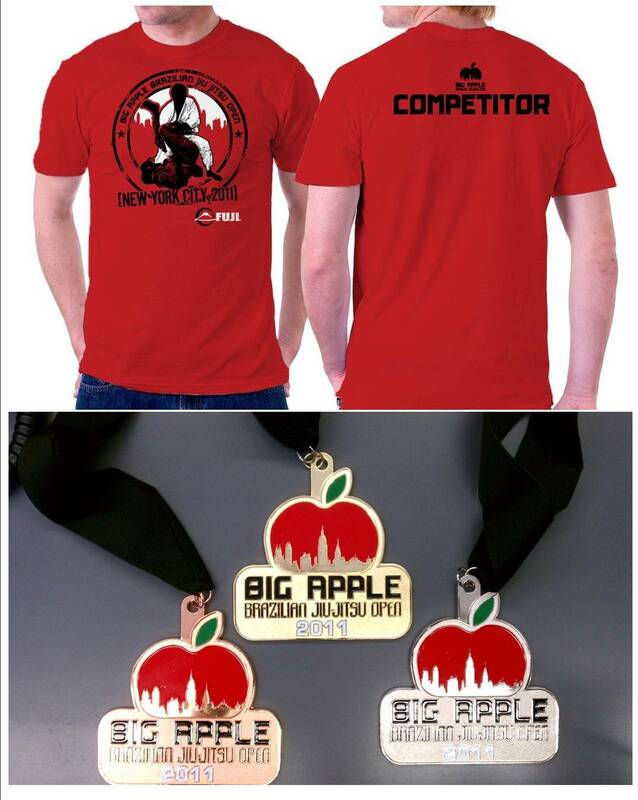 T-shirts and medals are in!